Feb. 10 marks the 10th anniversary of a seminal piece of Chicago music history. 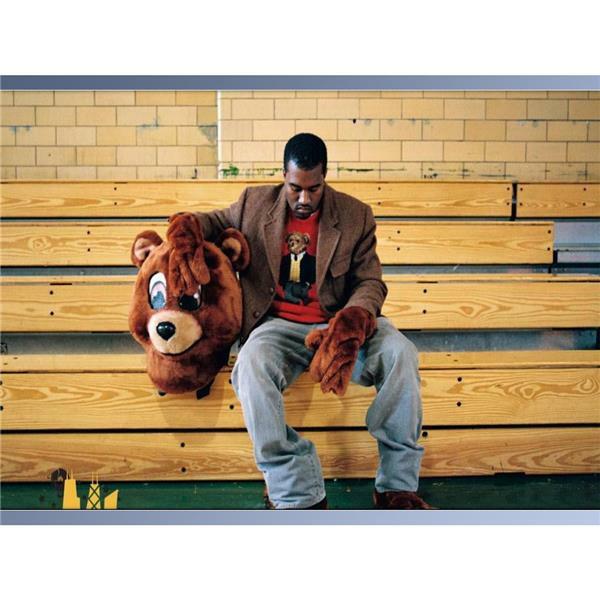 "The College Dropout," the 2004 debut album from Kanye West exposed the producer-turned-rapper to a wide audience. Backed with a strong co-sign from his Roc-A-Fella teammates Jay Z and Damon Dash, the record went on to become a smash, selling more than 3.1 million copies in the U.S. and propelling West to superstardom. Rather than break down the nuts and bolts of the album (Go read Billboard's oral history for that,) RedEye rounded up some key characters involved with West at the time to talk about determination, rejection and the pure bona fide hustle it took to get the album made in the first place. Coodie (Coodie Simmons) and Chike (Chike Ozah): Art directors/video directors "Through the Wire"
My immediate circle of Don C [Crowley, who still works with West] and Happy [Lewis] and I kind of went all in after that. Coodie: I met Kanye when he used to come around NO.ID's studio on 95th Street [in Chicago]. It was him, Common and Dug Infinite. Kanye would come around to see if they would help him make records. That studio turned into a barbershop called Mellow Swing and he would come in there and play beats and get his haircut by this dude named Ibn [Jasper, now a streetwear legend in his own right]. He came in one time with that track [the beat that would become Jay Z's "Izzo"]. That was my intro to him. I had a TV show on public access called "Channel Zero." I would go around with signed artists and then we would film them doing stuff. I started noticing Kanye's talent and charisma and I honestly wanted to do a "Hoop Dreams"-type documentary on him. He winded up moving to New York, and I'm sitting at home watching the BET Awards and Jay Z comes out and does a teaser "Izzo " for the first time. I'm like, "Wait, that's Kanye's beat!" At that point, I'm like, "It's time to move [to New York]." From then on, I was working on the album. MTV reached out to me to do one of those "You Hear It First" things for Kanye. This girl Yasmine Richards brought me in and introduced me to Chike. 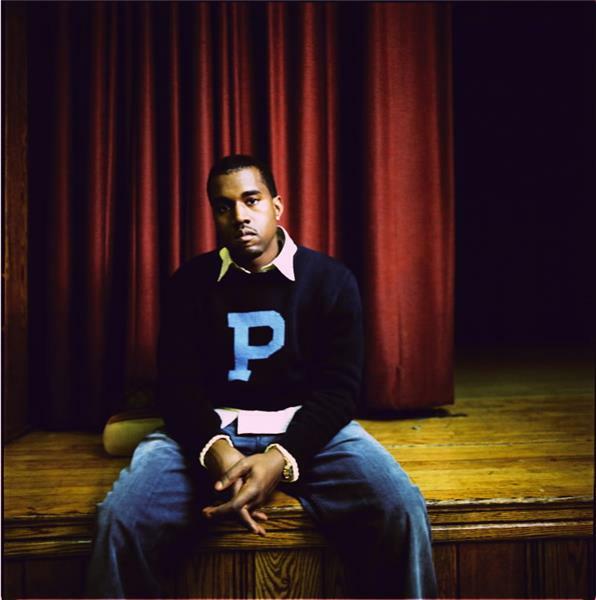 Eric: "I first met Kanye in Damon Dash's office when he handed over a close-to-final edit of the album, and he told me to listen to it to get in the mindset of what he was trying to do.The cover took about three weeks in total to design. I was working at the in-house brand design team for Roc-A-Fella at the time, and was given the project by my creative director." 3H: I met Kanye in the beginning of 2001 in New York City at Right Track studios. I had an artist on Interscope at the time who was making an album. Back then, you actually sent beat CDs in the mail, and I got one from this guy named Kanye West. We bought a track and he came to the session and we met that day. He played me two songs, "I Gotta Know," which never came out, and "Hey Mama." Blew me away and I immediately wanted to sign him. I called my boss and told him, "We just found the male Lauryn Hill." Chike: Mine isn't as intricate. I was working at MTV and we started talking about Kanye as this bubbling artist. I met Coodie and hit it off. A year after that, he hit me talking about this video they were working on and wondering if I could help him out. "Through the Wire" was that video. Monopoly: It was such a fresh perspective. People got tired of the same concepts in rap at the time and to come out with "I gotta be honest, we all self conscious" was all about focusing on growth and getting people on. It was always about moving forward. 3H: So let me paint the picture. I tried to bring in 50 Cent and Kanye West to Capitol in the same month. They said 50 was too aggressive but they signed Kanye as a favor to me. Even though we signed him, Kanye West was an unproven style of artist at that level. Not to mention, [Capitol] Records didn't have any urban artists at all at the time. I wasn't in a position where I had power, so there was literally a year and a half of this holding pattern. In that time, [Jay Z's] "Blueprint" had already come out and he was on the hook of a Scarface song ["Guess Who's Back?"] and he had the production career going off. "Slow Jamz" and "Jesus Walks" were done a year, almost two years before the album came out. The fact that people heard those and didn't do anything is crazy. I think [Kanye] didn't compromise who he was as an act and he didn't compromise his art. He knew deep down that he wasn't going to do some gangster [bleep] and wasn't going to do some super-granola Earthy underground rap either. It takes a special artist to pull that off. However, fear of the unknown is big. I was informed by the new boss that they weren't moving forward on the project. Chike: It encouraged [Kanye]. Made him more of a beast and wanted to prove everyone wrong. Coodie: Kanye didn't play though. He would sit next to the graphic designer pointing at the screen like, "Put that there!" Duvauchelle: "I remember in the last three days before having to hand off the designs for print, Kanye and I spent three days together locked up in the design studio riffing off ideas and visuals, and one night around 3 a.m., he got a call. We took the lift down from the 38th floor of the building by Times Square, and walked to a black SUV parked in front of the building. The window rolled down, and Mos Def handed us his original photo from school that he had just found for us to use. It was the same for many others who had to get their parents to hunt down those images." 3H: If he had a studio session, I'd book it from 11 a.m. to the next morning. He would record and produce for the other artists at the beginning of the session, then work the rest of the night [on "The Dropout"]. That work ethic was contagious. Monopoly: I remember him drawing promotional posters by hand, and those posters went on to get printed and distributed. Also, by the time he got his deal a lot of us had been around him for years. I mean, at that point he and I alone had been working together for 10 years. He had a team of people around him who wouldn't stop until we got that vision out. Chike: I would be at work from 10 to 7, then we would go upstairs from 8 to 4 a.m. and work on the video without anybody knowing. We'd sneak over to VH1 and use their computers and editing equipment. I slept in the office at least twice. We put together an EPK [electronic press kit for Kanye] as a way to get the point across that people were sleeping. 3H: There were times where you would sit there with him for four hours and he wouldn't say anything to you the whole time. 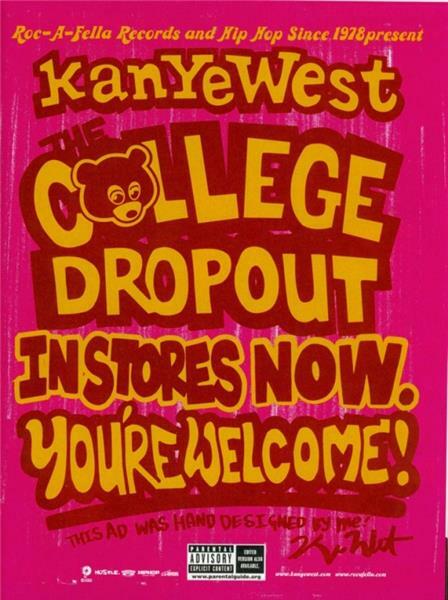 He would do anything for "The College Dropout." Coodie: We would go into people's offices and I would have the camera on and ready. Kanye would jump on the desk and perform. The music got us through. We didn't care about sleep. Coodie: I would film him all the time, before that was a normal thing for rappers to do. He would be doing these little rhymes and then have me play it back for him. He would say a couple of words, mostly focusing on delivery, but a lot of times it was jibber-jabber. They say it takes a village. This album was the culmination of a lot of support and work from a lot of names, big and small, who took part in the process. Monopoly: There was a crew outta Chicago named Dem Dere. 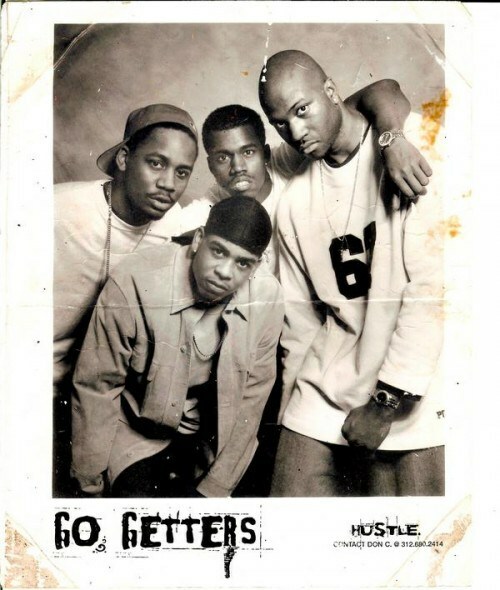 Those guys heavily influenced 'Ye's style. It was a group of fly creatives that were doing progressive stuff in the hip-hop space. It was a dude named Twilite Tone [Common's DJ], a guy named ReggieKnow [Reginald Jolley, the guy behind those Sprite hip-hop commercials in the early '90s], this dancer named Klato and some other guys. They really influenced all of us, especially Kanye. He showed them love by taking their influence and putting his own style on it. If there was ever an inclination that Kanye wasn't going to be a garden-variety rapper, his video for "Through The Wire" was it. The documentary-style clip made a strong impact upon its release. The song itself was recorded after West's 2002 car accident that left his jaw wired shut. Coodie: So Kanye gets in the accident, and then a week later he calls me. I'm like, "Are you OK?" [Impersonates Kanye with his jaw wired shut]: "Yeh, bud I gawt dis sawng tho!" Then started rapping through his wired jaw! [Laughs.] He flew me out to L.A., and now we're filming and DeRay [Davis] would come get us to take `Ye to the dentist because we didn't have a car. That's in the video. Kanye was working with Ludacris and Pharrell and he played "Through the Wire" for them and you can see their reactions in the video too. Everyone kept saying, "I didn't know." It baffled me. He was playing "Jesus Walks" for people and they wouldn't sign him for anything. Truthfully, I think they couldn't understand him, coming in with a backpack but being around them Roc-A-Fella folks; they needed to see his story. The video helped with that. 3H: I always believed that he was a wonderful artist, but didn't know he would get this big. I was thinking A Tribe [Called Quest], Souls of Mischief level, maybe a Mos Def, Talib Kweli level. I didn't think we had enough smart people in the world to make Kanye a superstar. The bar was set high. It's a classic album of any genre. Monopoly: A lot of modern rappers are moving in the space that Kanye basically created. They'll tell you that. Coodie: The album is a classic. Chike: Yes, and not just in rap. No one can deny that.